Wandsworth Park is an urban park in the Putney district of London, England. It is one of two Grade II listed parks in Putney, the other being Battersea Park. The Park is situated along the south bank of The River Thames and bordered to the south by Putney Bridge Road. To the west it backs on to offices on Deodar Road, Putney. At the other end there is a large complex of flats. On the opposite side of the river is the Hurlingham Club. The park is 8 hectares in size and is home to over 350 trees of many different species. 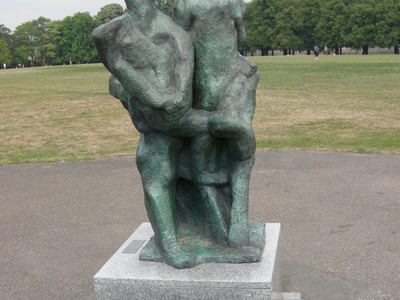 Putney Sculpture Trail is in the park. Wandsworth Park was purchased for £33,000 in 1898 by London County Council, Wandsworth District Board, and by public subscription. The land was previously allotment gardens. It was designed and constructed under the supervision of Lt Col John James Sexby, the first Parks Superintendent for the London County Council. The design is dominated by a 3.5 hectare playing field in the centre of the park surrounded by an oval path. The south east corner has a more ornamental design, and an avenue of trees form the northern edge along the river. The design has remained largely unchanged since its construction. The park was formally opened on Saturday 28 February 1903. A bowling green, pavilion, and tennis courts were added in the 1920s. Here's the our members favorite photos of "Recreational Areas near Wandsworth Borough". 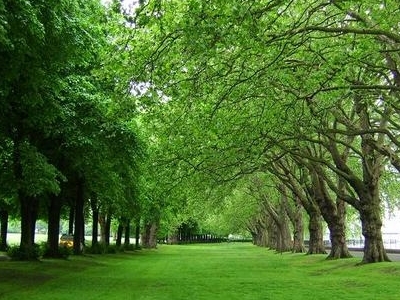 Upload your photo of Wandsworth Park!